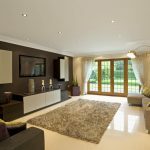 Will Air Duct Cleaning Help Reduce Allergies? 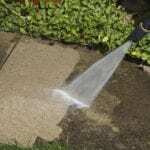 Home > Blog > Will Air Duct Cleaning Help Reduce Allergies? Have you ever dusted your home only to end in a fit of sneezes? For allergy sufferers, this scenario is very real. When your air ducts are full of dust, debris and contaminants, allergies can become even more intolerable. However, a professional air duct cleaning may help improve the indoor air quality in your home and offer some relief to those who have allergies. Whether you are looking for ways to reduce allergy symptoms or smells in your home, air duct cleaning may be the answer. Cleaning your ducts also increases the efficiency of your HVAC system by increasing the airflow so that your machine isn’t working overtime. Have you noticed unpleasant smells coming from your ducts? Mold, mildew, rodent droppings and other contaminants that can stink up your home can be eliminated with a proper cleaning. 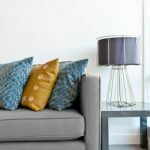 Cleaning your ducts will also help reduce the dust throughout your home — not just in your ducts, but on your furniture, floors and other surfaces. This will help offer relief to allergy sufferers. 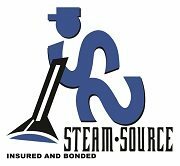 At Steam Source, we believe you deserve to have a clean home that doesn’t have dust, pollen, and other debris floating around. That’s why we offer residential air duct cleaning services that will truly make a difference in the quality of your indoor air — and in your health! You may notice a difference in your allergy symptoms and enjoy a reduced likelihood of head colds and respiratory concerns. You’ll also notice that your HVAC system is running more efficiently – and that means you are saving money! Call us today to schedule your air duct cleaning.